If you ever see any Socialist Worker’s Party, or their front organisation the Unite Against Fascism, marches you will usually see pictures of the jewish Communist Leon Trotsky and multiple references to him. He is the spiritual leader and political guru of the SWP and UAF. The policies and belief system of the SWP/UAF are based on Leon Trotsky, so to see in to the minds of SWP/UAF supporters it might be an idea to look at the life of Trotsky. 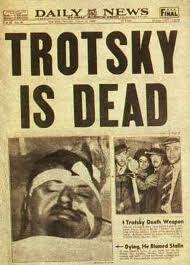 So who was this Leon Trotsky that is worshipped today by the SWP and UAF? 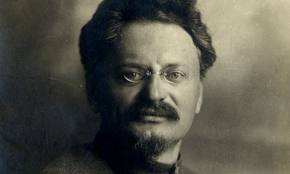 Leon Trotsky the jewish Communist who enslaved and murdered millions of White Russians. In the fall of 1888, at the age of 9, Levi Davidovich moved from the family estate to the coastal resort of Odessa, where he lived with his mother’s nephew, Moses Filipovich Spentzer — a liberal, jewish publisher. After attending high school in Odessa, he went on to junior college at Nikolayev, where he fell in with a group of jewish socialists. 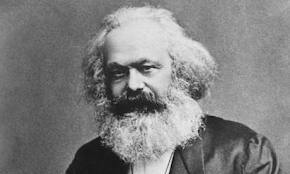 He began to read Marx around this time and started to agitate among the fledgling trades unions in the area. He ended up being arrested and it was at this point in his career that he decided to adopt a pseudonym. With a stroke of irony, he took on the name of his Polish prison warden, Trotsky. Soon after the couple’s exile to Siberia, a baby daughter was born, with another following in 1902. Despite the rigors of Siberia, Trotsky was able to contribute prolific articles to the local Irkutsk newspaper, and to receive and study Marxist books. Around this time he heard of Lenin, another Communist agitator, and the two began corresponding. Lenin wrote Trotsky that he should abandon his Siberian exile and go and live in a foreign country. Friends would help. 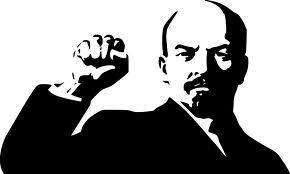 Trotsky’s friend Lenin – an evil man who ended democracy in Russia for 80 years. So Trotsky found his way to Vienna, where he was aided by his fellow jewish Communist, Victor Adler; and then on to Zurich, where another jewish Communist, Paul Axelrod, was point man. Trotsky’s wife and children were left behind in Siberia. On to Paris, and then to London, where Trotsky finally met Lenin at a rooming house at 30 Holford Square, King’s Cross. Trotsky was immediately appointed editor of The Spark, an underground Communist newspaper which was directed at Russian agitation. 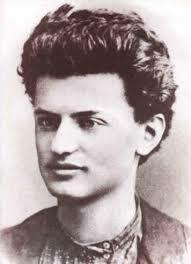 Trotsky also gave some Marxist lectures in London’s predominantly jewish Whitechapel district, and he took up with a Ukrainian (Gentile) woman, Natalya Ivanovna Sedova. Before long the two became lovers, and produced two male children. Karl Marx – Lenin and Trotsky were Marxists. After establishing strategy at various conferences in London, Brussels and Paris, Trotsky and Natalya (using fake passports) returned to Russia in 1905 in order to launch the revolution. After several months of apparently harassment-free agitation, Trotsky was arrested and then thrown into the Peter-Paul prison in St. Petersburg, along with two other jewish Marxists: Leon Deutsch and Alexander “Parvus” Helphand. 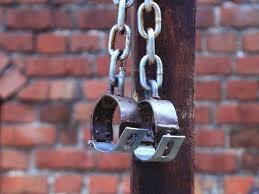 After VIP treatment in jail, and a democratic trial, the agitators were exiled to Siberia once more. However, after arrival in Siberia, Trotsky hardly even stooped to unpack but merely got on a train going in the opposite direction and ended up once more with his common-law wife Natalya in Finland. 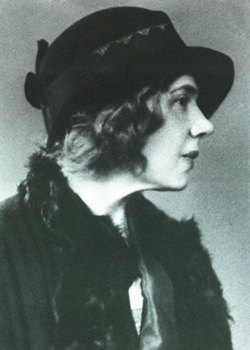 Natalya – Trotsky’s common law wife. After more agitating around western Europe, Trotsky set sail for New York, where he worked as a journalist on the Russian Communist newspaper Novy Mir, out of their offices at 177 St. Mark’s Place on the Lower East Side — right in the heart of the jewish section of Manhattan. Novy Mir (New World) was owned by two Communist jews named Weinstein and Brailovsky. According to the New York police, who monitored Trotsky’s activities, his main associates during this period were Emma Goldman and Alexander Berman. Things were starting to heat up in Mother Russia in 1917, and Trotsky sensed that the time was ripe for another Soviet takeover bid. But finance for the revolution was essential. Oddly, these so-called enemies of Capitalism had no difficulty whatsoever in raising vast amounts of capital from jewish financiers around the World. Trotsky worked on Jacob H. Schiff, who it was, later admitted, poured $20 million of Kuhn Loeb bank money into the projected Bolshevik takeover. “Parvus”, Trotsky’s room-mate at the executive suite of the Peter-Paul prison, was himself a wealthy coal broker, and he was off in the Balkans making deals on behalf of the Imperial German government. Naturally, being a good businessman with loyalty only to the dollar, he had no qualms about trading with any enemy power during wartime. On 26 March 1917 Trotsky embarked from New York, for Russia He was accompanied by a good many jewish Marxist soldiers-of-fortune from the Lower East Side, plus a large amount of gold courtesy of Jacob Schiff. 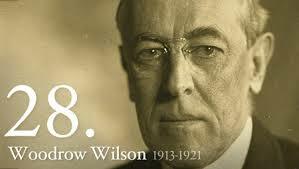 President Woodrow Wilson had Trotsky released by the British. However, when the ship stopped to refuel at Halifax, Nova Scotia, Trotsky was arrested by the British authorities, on the sound rationale that he was heading for Russia to take Russia out of the Great War and thereby increase the Germans’ capabilities on the Western front. But in a stunning reversal of “how things are supposed to be”, the American President Woodrow Wilson intervened with the British and Trotsky was allowed to continue on his way since he had the advantage of an American passport. By the time Trotsky reached Russia, the revolution had already taken place. The Tsar had been deposed and a Democratic government installed. But being a good Communist, Trotsky wanted to have things his own way. The Democrats, under Kerensky, were wise to these ambitions and warrants were issued for the arrest of Trotsky and Lenin. The basis for the warrants was evidence that they were agents of the Imperial German government – a not unreasonable assumption since Lenin had been sent back into Russia on a sealed German train, and Trotsky had been sent by Jacob Schiff, a cousin of the German Minister of the Interior, Felix Warburg, both jews. 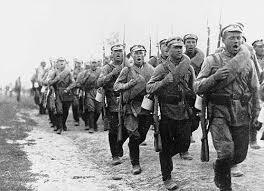 Russian Civil War 1918 to 1922 between the jewish Bolsheviks and White Russians. However, the Communists’ troubles were not over yet. As soon as their tyrannical regime started to bite into the newly-won freedoms of the Russian people, a civil war broke out, with a White Russian army taking up arms against the Communists. Anarchists under Nester Makhno also fought the new government and the Whites, with his Ukrainian Army of Insurgent Peasants. Makhno soon controlled vast tracts of Ukraine, so in an effort to neutralize him, the Communist government agreed to recognize Ukraine as an autonomous anarchist region. A treaty was signed by three jewish Commissars : Bela Kuhn, S. I. Gusev and M. V. Frunze. As soon as the other fronts were secure, the Red Army then turned all its force against the Ukrainian autonomous region and, treaties notwithstanding, crushed all resistance. The charismatic Makhno fled overseas and ended up laboring in a Paris factory. 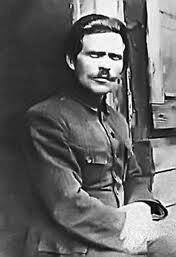 Ukranian Anarchist Leader Nester Makhno died in exile in Paris. Some of the opposition to the Communists was fuelled by anti-Semitism. The White Russians published explicitly anti-Semitic posters showing an ugly jewish Trotsky with Oriental Bolshevik soldiers. Allegations that Makhno was anti-Semitic have never been proven; in fact he had jewish lieutenants. Trotsky made sure his various families were taken care of. His father, the wealthy landowner David Bronstein, had been subjected to attack from both sides in the Civil War, so Trotsky gave him a job as manager of a state mill just outside Moscow. Trotsky’s Gentile wife was made Minister of Museums in Moscow. His first (Jewish) wife was a political functionary in Petrograd (the new name for St. Petersburg). 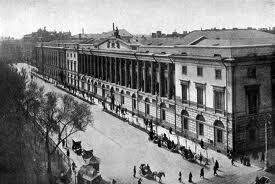 St. Petersburg was renamed Petrograd by the jewish Communists. In January 1919, a jewish Communist uprising in Berlin was a dismal flop, ending with the deaths of the two main proponents: Rosa Luxemberg and Karl Liebknecht. In March 1919, the Soviet Jew Bela Kuhn took over the government of Hungary, but after a bloody couple of months, this attempt also failed. 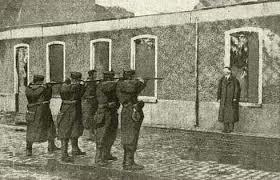 A short-lived uprising in Munich under the leadership of the jew Kurt Eisner was also put down. 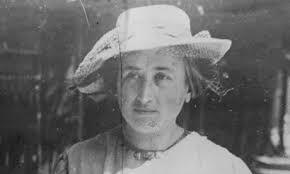 Rosa Luxemburg a jewish Communist who died in a failed revolution against Democracy. Early in 1921, there was a mutiny at the naval base of Kronstadt. Kronstadt had always had a reputation for revolutionary zeal – the sailors had mutinied against the Tsar and also against the Democrats. Each time Trotsky had supported them. But this time, the sailors were rebelling against Trotsky. So, instead of defending their demands for free speech and freedom of association, Trotsky sent in Red Army units to brutally crush the uprising. To explain away this murder, Trotsky recycled the same lame excuse that he had used to smear Makhno’s anarchists — that they were in league with the White Army. Perhaps it was episodes like this that inspired George Orwell to write Animal Farm. Trotsky reaped what he sowed. Soon, it was Trotsky himself who suffered from such double standard morality. Lenin died suddenly in 1924, and his place was taken by Stalin. (Trotsky was indisposed at the time, taking a health cure on the Black Sea.) Stalin very shortly discovered “crimes” which Trotsky had committed, and he was exiled first to Turkestan and then overseas. Stalin eventually had him murdered in Mexico in 1940. The assassin clubbed Trotsky to death with an ice-pick — a most unusual implement to find lying around in sweltering Mexico City. 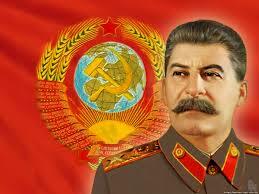 Josef Stalin : Stalin’s henchman killed Trotsky in 1940 in Mexico. There is no doubt whatsoever that the Bolshevik takeover in Russia was but a jewish takeover. As Winston Churchill wrote: “There is no need to exaggerate the part played in the creation of Bolshevism and in the actual bringing about of the Russian Revolution by these international, and for the most part atheistical, jews. It is certainly a very great one, it probably outweighs all others. With the notable exception of Lenin*, ( Note: Unknown to Churchill, Lenin himself, has since been revealed to be part jewish) the majority of the leading figures are jews. Moreover, the principal inspiration and driving power comes from the jewish leaders … In the Soviet institution the predominance of jews is even more astounding. And the principal part in the system of terrorism applied by the extraordinary Commissions for combating Counter-Revolution has been taken by jews …” — Illustrated Sunday Herald 8 February 1920. 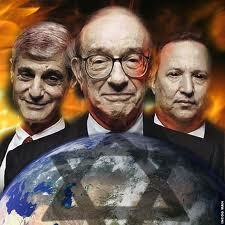 Jewish bankers financed the jewish Communist enslavement of Russia. (Stefan Possony of the Hoover Institute argues that, contrary to Churchill’s exception, Lenin was of jewish descent; his mother’s maiden name being Blank — a most unlikely Russian name, and she was in fact the daughter of a jewish doctor and his German wife.) Both British and American diplomats in Russia at the time sent back reports describing how the vast majority of the Bolsheviks were jewish. Reproductions and excerpts appear in the comprehensive Six Million Reconsidered by William Grimstad. Page after page of frank admissions by jews themselves and by on-the-spot observers prove beyond any shadow of doubt that Bolshevism was jewish from top to bottom. Like in Communist Russia no White person can criticise the jews in anyway in modern Britain. Of particular interest to us here is the attitude of the “People of the Book” toward cruelty and destruction. The Soviets’ secret police–an alphabet soup of initials which began with CHEKA and ended up today as the KGB – was conceived and operated almost exclusively by jews. The first head of the CHEKA was Moses Uritsky. His successor was a person of dubious “Polish” origin named Felix Dzerzhinski, but it was common knowledge that he was overshadowed by his nominal subordinate, I. S. Unschlicht. Over the years, control of the torture apparatus has been passed to other jews: Genrik Yagoda, Lavrenti Beria, and today, Yuri Andropov. Yagoda’s case was interesting in that he was Chief Inquisitor and Executioner of two Jewish ex-colleagues Kamenev and Zinoviev. As the wheel of fate turned, Yagoda himself was purged and executed. According to the Russian writer Aleksandr Solzhenitsyn, the slave labor camps were dreamt up “by the Turkish Jew, Frenkel”. Known as “the timber king of the Black Sea” Frenkel quickly became a consultant to the Bolshevik government, and advised them on the most profitable gems and precious metals to loot from the Russians. 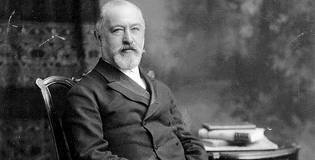 It may have been these same valuables which were sent back to Jacob Schiff in New York, as repayment of his original “venture capital” sent over with Trotsky. Later, Frenkel set up the slave labor camps as probably the cheapest form of labour supply in the World, and vast work projects were undertaken, such as the (ill fated ) White Sea/Baltic Sea canal scheme. Communism,marxism,socialism and multiculturalism are all jewish-fascist ideologies which enslave and murder White People. 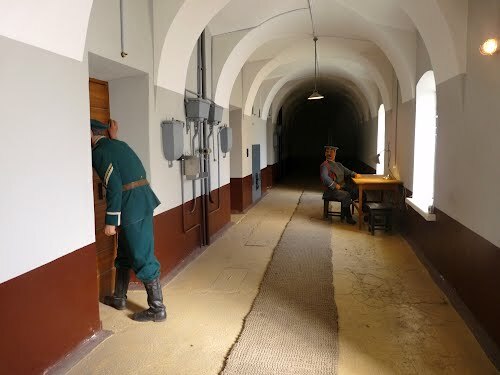 In the third chapter of volume two of Solzhenitsyn’s Gulag Archipelago, the author provides a rogues’ gallery of the Soviet architects of the slave-labor/extermination program: Yakov Rappaport, Matvei Berman, Lazar Kogan, Semyon Firin, Sergei Zhuk. “Terror as the demonstration of the will and strength of the working class is historically justified, precisely because the proletariat was able to break the political will of the Intelligentsia, pacify the professional men of various categories and work, and gradually subordinate them to its own aims within the fields of their specialties.” — Izvestia 10 January 1919. Lenin too demanded buckets of blood. 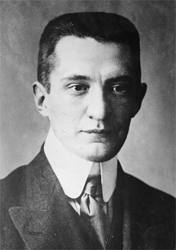 In June 1918 he reprimanded the Leningrad (nee St. Petersburg) Soviet for being too genteel in their treatment of opponents: “This is unheard of! The energy and mass nature of the terror must be encouraged!” The following month he promulgated a new edict in Izvestia (27 July 1918) to the effect that all “anti-Semites” were to be shot. Any White Russian objecting to jewish-fascist enslavement and genocide by the communists was labelled an anti-semite and shot. 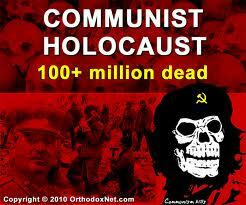 Jewish communism has killed about 100+million White People. Multiculturalism will finish off any White Nations. “There is much in the fact of Bolshevism itself, in the fact that so many jews are Bolsheviks, in the fact that the ideals of Bolshevism at many points are consonant with the finest ideals of judaism.” — London jewish Chronicle, 4 April 1919. “What jewish idealism and jewish discontent have so powerfully contributed to produce in Russia, the same historic qualities of the jewish mind are tending to promote in other countries.” — New York American Hebrew, 20 September 1920. “Jewish histories rarely mention the name of Karl Marx, though in his life and spirit he was far truer to the mission of Israel than most who are forever talking of it.” — Rabbi Lewis Brown: Stranger Than Fiction, NY, 1928. However, at the business end of this great contribution to progress, matters were not quite so explicitly dealt with. No Soviet citizen could be referred to as “jewish” on pain of death. And almost to a man, the jewish leaders of the Bolshevik takeover changed their jewish names to Gentile-sounding noms de guerre, usually Russian but sometimes, Polish. How can one interpret this idiosyncratic phenomenon? Let us back-track a little bit. We have Trotsky growing up in a wealthy land owning jewish family, attending exclusive private schools, and marrying in a jewish ceremony. Yet he hides his jewishness behind a Gentile pseudonym and claims to represent the Russian working class. He has definite links with wealthy jewish foreign bankers, yet he claims to oppose Capitalism. He claims to support continuous working-class violent revolution against the ruling-class, yet when he himself becomes the ruler he suppresses workers’ uprisings, such as at Kronstadt and in Ukraine. He opposes privilege for the ruling class, yet he fixes up his own family with cushy positions. Ed Miliband, Labour Party Leader, is a multi-millionaire, East European marxist jew who hides behind a British sounding name. His family have strong links to banking. 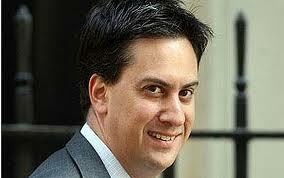 He supports the multicultural enslavement and genocide of White British People. What is the answer to this conundrum? It would be easy to dismiss Trotsky and his fellows as mere charlatans, tricksters and hypocrites. There can be little doubt that George Orwell based the pigs in Animal Farm on these crooks. 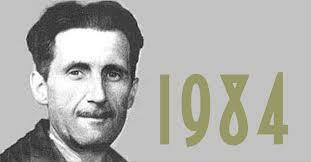 George Orwell based 1984 and Animal Farm on jewish-fascist states. Note the racial supremacy of the pigs (symbolising jews) in Animal Farm. But somehow, this “criminal” explanation does not totally fit the bill, for the “ideals” propounded by Trotsky and company were given theoretical support from respectable jewish organizations in the West. Can it be that there is some “split personality” at work here, where the Bolsheviks actually believed in what they were advocating, but another part of their personality kept superimposing itself on top of their “principled” side? Did Trotsky perhaps fantasize that he was not jewish; that he was not privileged; that he was in search of justice? Was there a side of him that was struggling to be Gentile; that craved to feel inside himself the Gentile values of honor, truth, courage, and fairness? Did he envy these qualities so much that he turned jealousy into hate; turned a wish-to-be-like into a wish-to-destroy? All we can do is speculate, because unfortunately little is known of Trotsky’s real psychology. There are no personal letters, no opening-up to friends or family, no records at all of any substance. All we can do is line up Trotsky with his kinfolk in this psychohistorical study, and see if we can find any interesting patterns of behavior showing up. 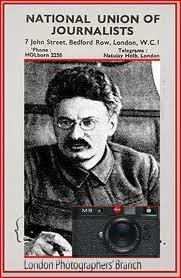 The National Union of Journalists ( Labour affiliated ) featured Trotsky. ← Do Official Red Cross Records Show Nazi Holocaust Was A Holohoax? Pingback: Leon Trotsky of the UAF And SWP Exposed | ElderofZyklon's Blog! What’s up friends, its wonderful piece of writing concerning cultureand fully defined, keep it up all the time.